Content is being added each day of the champs. Photo printing service now available with prices starting at just €5! See the price list page for the prices and sizes and order via our online ordering page. Printing service now available with prices starting at €5! Old Collegians Boat Club ran the 67th Dublin Head of the River on Saturday 5th March at 12:00 PM on the river Liffey in Dublin, Ireland. It was run upstream from Marlborough Street Steps (below O’Connell Street Bridge) to Islandbridge a distance of 3.7 Km and was started by the Lord Mayor. 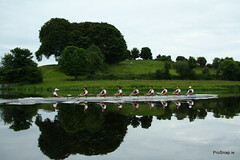 The race comprised of Eights and Coxed Fours from across the country taking a scenic route though the capital city of Ireland. Photos link on the photos page. Bull & Bears Head of the River 2010 photos now uploaded! Welcome to ProSnap.ie we are an Irish photography company that provides photographic services for people, businesses and events. All our photographs are available view in the photo section . Full resolution, watermark free press and printing grade copies are available to purchase via our simple on-line ordering form. National Rowing Championship photos now uploaded! This is a Flickr badge showing public photos and videos from prosnap. Make your own badge here. www.ProSnap.ie - John Meehan 2010 -. Powered by Blogger.